When I was looking to buy my first piece of property, understanding Credit vs. DTI (Debt To Income Ratio) and Loans drove me nuts. It felt like I needed a degree just to understand it then take a certification class to learn how to use it. It was probably the most confusing and frustrating part about the process except dealing with the Loan Underwriter… I’ll save that for another time. After a while, I figured it out and I’m able to bring you Credit vs. DTI vs. Loans Simplified… Finally! There are plenty of people who claim to be experts in credit, credit repair, and all that jazz. I am not one of those experts. My goal is to share what I have learned to be true and how I was able to get and keep my credit score well above average. There are 3 different types of credit account types. That’s IT! Don’t over think this. Open – Credit that must be paid back in full monthly. Most people won’t have these. Your FICO score is one of the major scoring models. It is comprised of 5 parts that all weigh differently when it comes to your credit. What this tells us here is that your payment history counts more than how much you owe in total. Are you trustworthy? Have you been paying back the money like you said you would? Let’s be honest, if someone is known for not paying people back, would you lend them any money? I’m pretty sure you would give them the side eye and say NOPE! I know I would. Now everyone should fall into one of these categories. Don’t freak out, you can still rent a place to live, and get a car with a poor credit score. According to this chart, you will have to pay more in interest if you have a problem in one of the areas listed earlier. NOTE: Average score is around 682. This is where the confusion came in for me. I kind of understood it, but not really. So let’s dive in! Expenses – Phone Bill, Electric Bill, Cable Bill, Alimony, Child Support, etc. Income –Paycheck, Business Income, Investment Income, Rental Income, etc. What generally gets left out are the expenses. When applying for a loan, I found that all 3 count. I had no idea my expenses would be counted in there. So that means if your child support is super high but you have good credit, you can still miss out on getting a home because your overall expenses are high. As you figure out what you can afford, make sure to account for everything. Simple right!? Generally speaking a DTI smaller than 36% is preferred when looking to get a loan. I was able to get one at 49.8% so there is room depending on who your lender is. At some point in life, we will need a loan. It will range from borrowing a shirt to a mortgage and beyond. Make sure you can afford it and look good on paper. Once you get your first loan, stick to your payment agreement, and over time it will get easier and easier. Just make sure you honor your commitment and don’t default. Here is the difficult part. Society relies heavily on credit. Heck, the financial system is built on credit. Originally the U.S. financial system was built on the “Gold Standard” which means for every printed currency (dollar) we had an equal amount of gold to back it. All of that changed back in 1971. I would suggest checking out Rich Dad’s Increase Your Financial IQ: Get Smarter with Your Money. It is a fantastic book that speaks on this in detail. Ok… back to managing your credit. The key to managing your credit is discipline. Say it with me “dis·ci·pline”. Say it again “DIS·CI·PLINE”! If you borrow money, make sure you can AND DO pay it back. DO NOT live to pay off debt. Only use it IF you can pay it back at that time or have a solid plan you can commit to for paying it back. It’s that simple. Working to pay off debt is no way to live. Avoid it as much as possible. If you happen to find yourself in a situation where you are over your head in debt, make a plan to get out and stick to it! All it takes is one Credit Account at a time. You can do it! Make sure you still take care of yourself and try not to stress too much about it. Check out Learning How to Profit First where I talk about paying yourself AND your bills so you can still keep your sanity. We all go through credit issues at some point in life and there are tools to help you along the way. 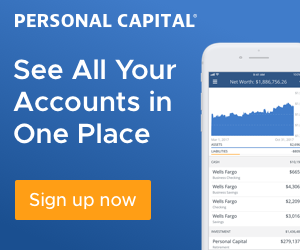 I suggest checking out Organize My Finances with Personal Capital. There you will find useful information on keeping track of things that aren’t so intrusive. The app has ties to credit so you can keep track of your FICO score and the rest of your financial wellbeing in one place. We have way too much on our plates as it is. Stay strong and work on building your credit with the different types and make sure to honor your agreement if you enter into one. Remember not to overextend yourself and remember all you’ve learned here. My name is Matthew Phelps. I follow you on instagram, we became friends after I saw your comment on a Software Engineer average salary post. I am a regional IP engineer for an ISP here in Texas and I love your website. I find it pretty coincidental that as I am starting to get into Real Estate Investment, I see that you posted about your second rental. Congrats! I have read a few of your blogs and it looks like you have definitely done your homework on the numbers side of it. I am currently looking at taking a HELOC loan out on my primary residence that I own outright in order to get into REI. Wish me the best and I will continue to follow your journey to financial independance!